Founded in March 2002 by designers Christopher Crawford and Angela Deane, Christopher Deane has established itself as one of New York's most admired young labels. I love their use of vibrant color and symmetry. 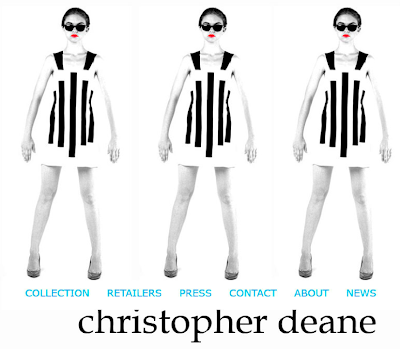 love christopher deane ..jay godrey has some great stuff too!